While Android is the most used mobile operating system on the planet there are some inherent problems with many of the devices running it. Most notably is the fact it uses a lot of battery power. While the core operating system is not the main problem on battery draining the issue lies with how apps are being loaded on Android devices. Apps such as Skype, Facebook Messenger, and certain keyboards can all load automatically in the background on startup without you even knowing. You might be wondering why on earth certain apps are doing that and it can be quite simple. Facebook Messenger and Skype are all live services they pull the latest messages in as soon as they get them. While you can force close them using the built in task manager the apps can still start back up because they are forced to do so to get the latest messages from your friends and family. There are some antivirus or performance apps that attempt to close the programs but it’s the equivalent of running the task manager meaning those programs can still start in the background and thus waste your battery life and your system resources. The app that I recommend that you download is 360 Mobile Security. While you can do this with stock android tools 360 Mobile Security makes it as easy as a few clicks and your device will be protected from all of the latest threats. From here you will need to let the app “boost” your phone and after it has completed its task you will see something like this appear at the bottom of your screen. Click the Autostart manager and you will be taken to a new screen like this. By stopping these apps from auto starting most normal function should remain and you can uncheck certain apps from being canceled. For instance, if you still want to have Skype running to get all of your latest updates then by all means uncheck it. Now, there is an annoying issue that arises from doing this. 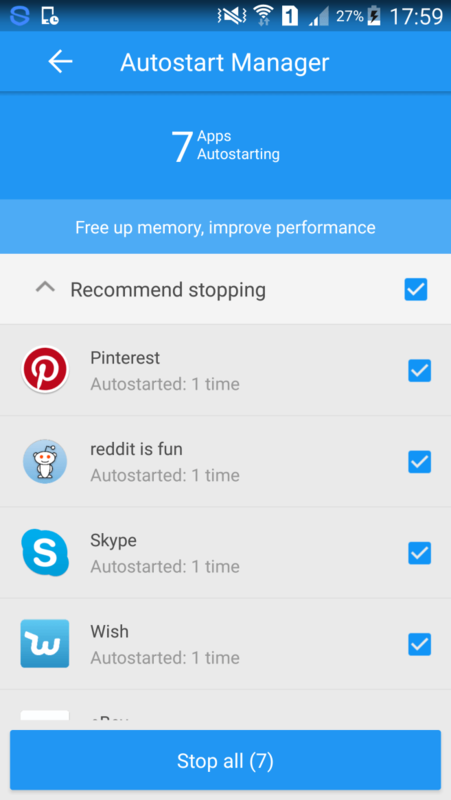 Apps that you start can be added back to this autostart category. The reason is the app when turned on will be added back so you can receive notifications which is normally a good thing, however, in our case we want to improve battery life. 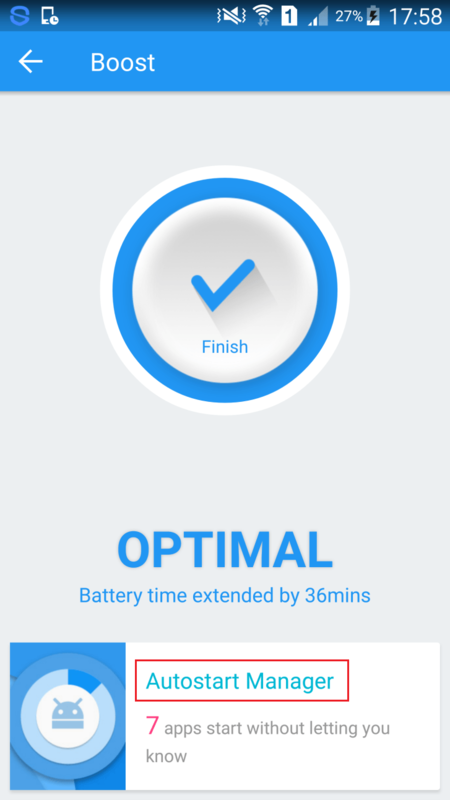 I recommend checking this at least once a day and you should slowly start to see an improvement in your battery life.